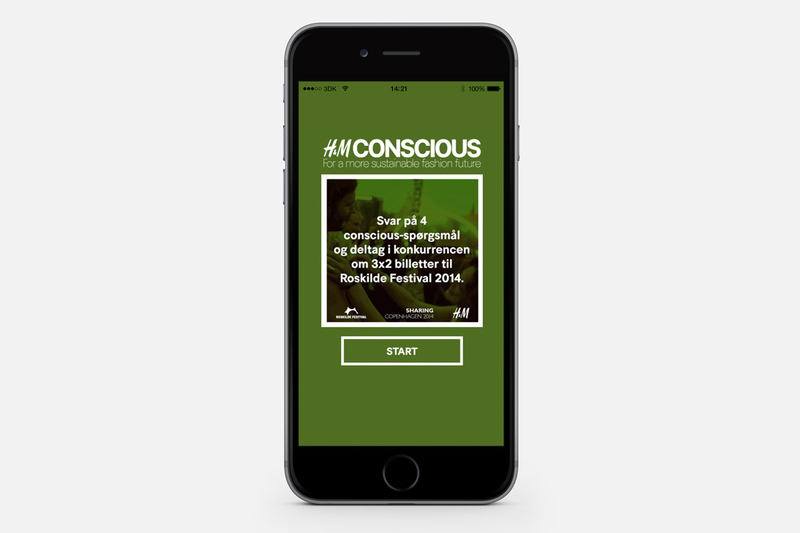 Design and development of small responsive competition web-app for H&M and their Roskilde Festival Concept. 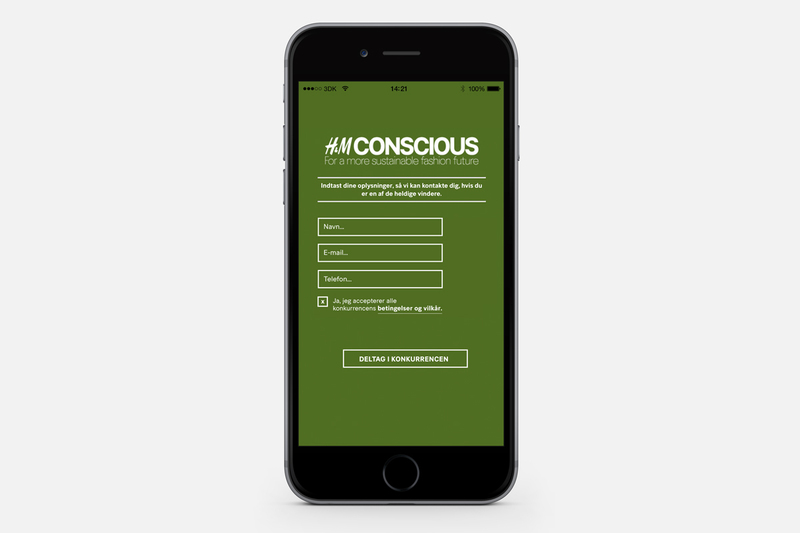 The app was made to raise awareness and knowlegde about H&M's recycle initiative "Councious" with a small quiz on how H&M work with recycling and we also integrated a few questions of the app partners to highlight the common collaboration. It was a very simple made app consisting of a few multiple choice questions paired with a small gif animation to compliment the question at hand. The app was reached thru different POS materials by scanning a QR code and was also featured on H&M's Facebook page. Besides telling about H&M recycle initiatives, the app also generated newsletter and social campaign leads.